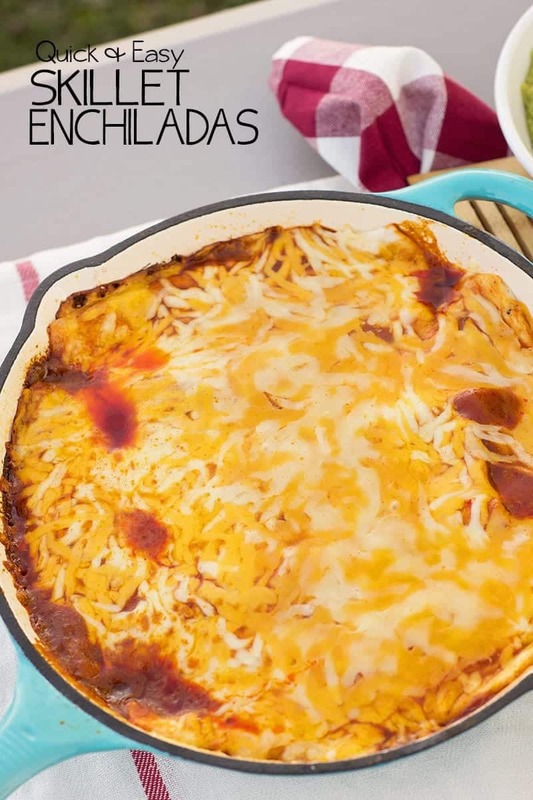 These easy Skillet Enchiladas are a quick and easy meal that you can put together on the stove top or over the campfire for an easy camping recipe. The weather was mild this past fall, and we squeezed in a few extra weekend camping trips. 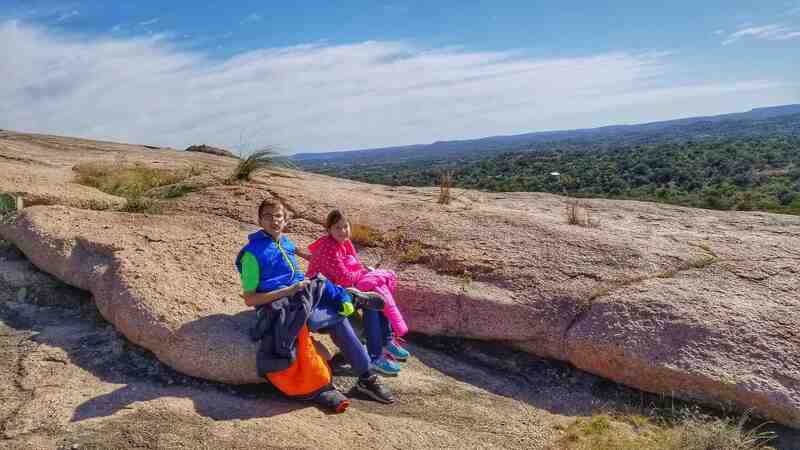 Living in Texas, Fall and Spring is the best time to do all the fun hiking and other outdoor activities (like roasting marshmallows, or this trip to Enchanted Rock) that are too hot to do in the middle of the summer. One of our favorite trips for the year was our visit to a new campsite in the North Houston/Lake Conroe area and made a trip out to the Texas Renaissance Festival. The festival itself was a lot of fun, but I think the kids had a bigger blast at the RV park’s heated pool. A typical camping meal plan for us is on the 1st night we’ll grill burgers and a few pounds of chicken fajita meat and use that as the protein for our lunches and dinners throughout the weekend. 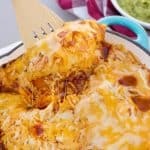 We mostly use the chicken in salads, soft tacos and quesadillas, but during the last couple of camping trips, I’ve made these amazingly easy Skillet Enchiladas. Can I just say the entire family went crazy for these! I even made half with regular flour tortillas and the other half with my favorite low carb whole wheat tortillas and we all just loved them. 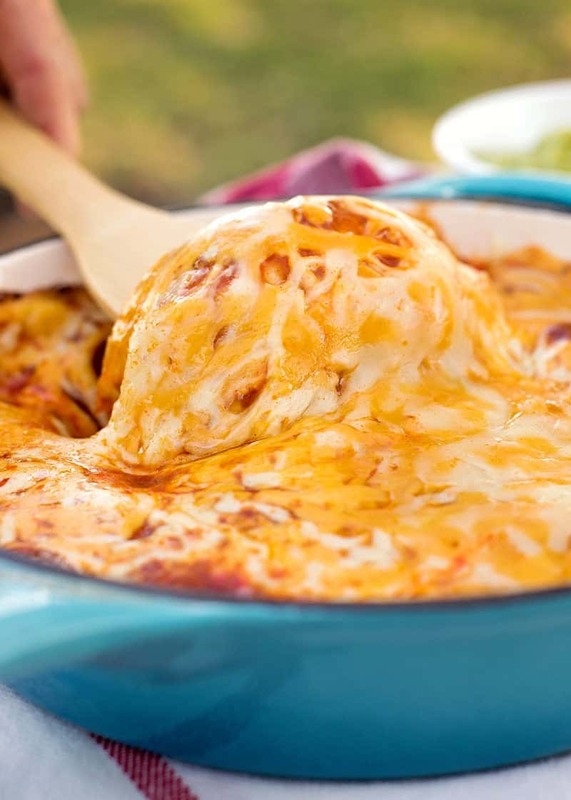 Look at all that cheese… Enchilada sauce + cheese is the best combination in my book! 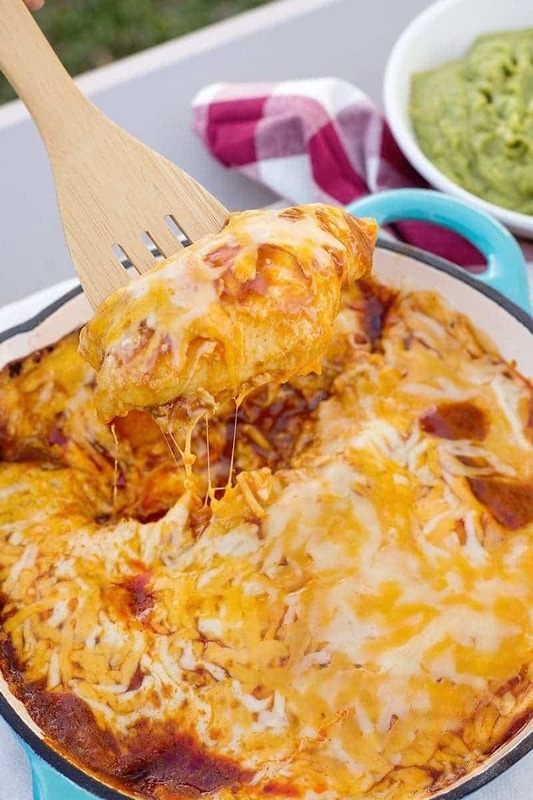 Super quick and easy recipe for Skillet Enchiladas. Perfect on the stove top or over a campfire. 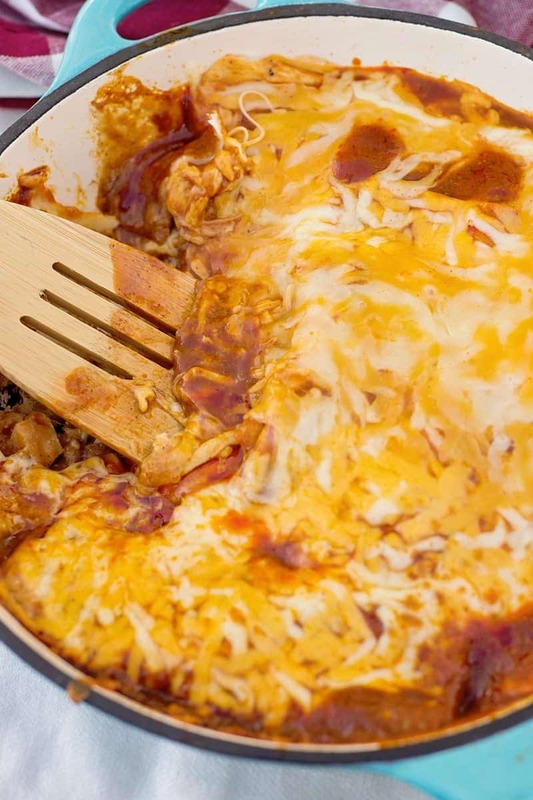 Spread refried beans on tortilla, add a couple spoonfuls of shredded chicken and cheese. Roll up tortilla and place into skillet seam side down. Continue filling tortillas until the pan is full. 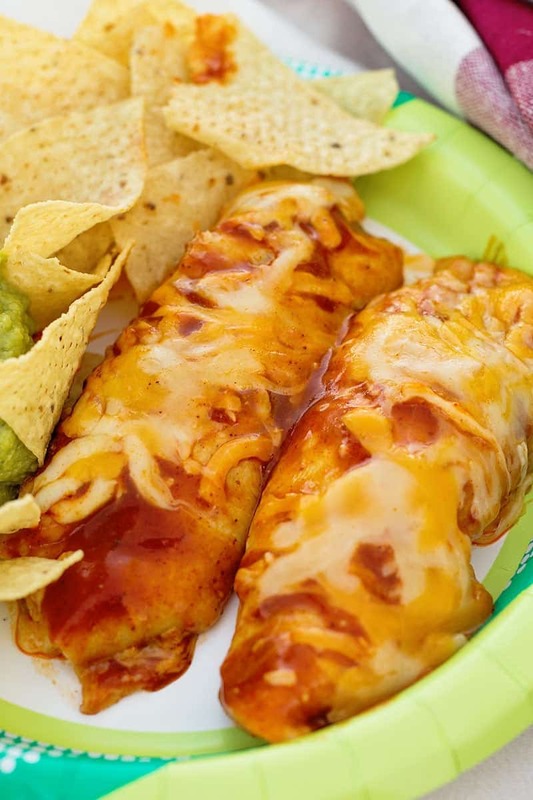 Add as much enchilada sauce as you want and top with a generous amount of cheese. 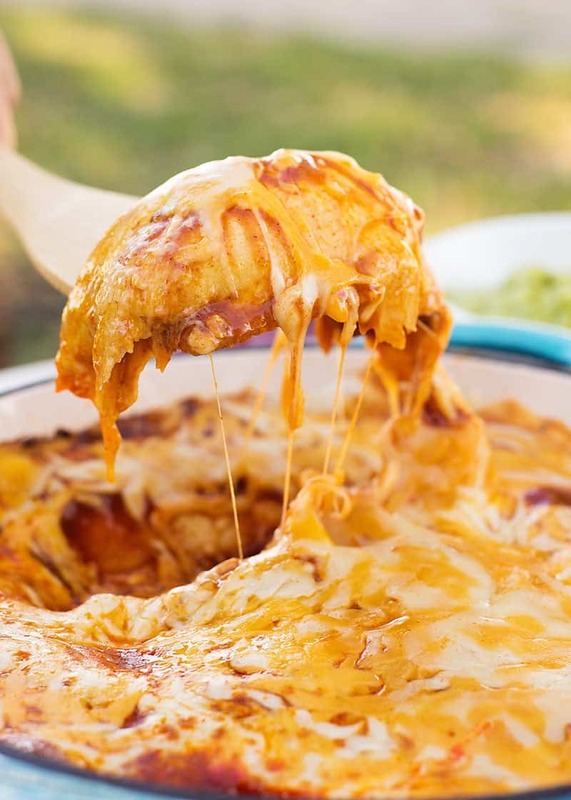 Heat on medium-low (or low heat area of the campfire) until the cheese is completely melted and enchiladas are heated all the way through. Use whatever type of tortilla is your favorite. Corn tortillas are the traditional tortilla used for enchiladas because they just hold up better to the sauce and cheese. To speed up cooking, you can prewarm the enchilada sauce. Looks really good! Can’t wait to try! This was beyond my expectations. Great recipe! My kids flipped! My friends oven wasnt working so I decided to try making these enchiladas on the stove top and OMG!!! THESE CAME OUT SO DELICIOUS!! Dinner was Fabulous!! Great recipe THANKS! !